Gardening is the backbone of a resilient and just food system. In Philadelphia and cities all over the country, with just a small plot of land, you can grow a fantastic variety of fresh vegetables and fruits bursting with flavor and nutrition. Urban gardens also beautify blighted areas, provide space for friends and neighbors to gather, and empower communities to regain control of their food choices. A garden is a vital component of a healthy community. A school garden is the perfect classroom for a curious mind. 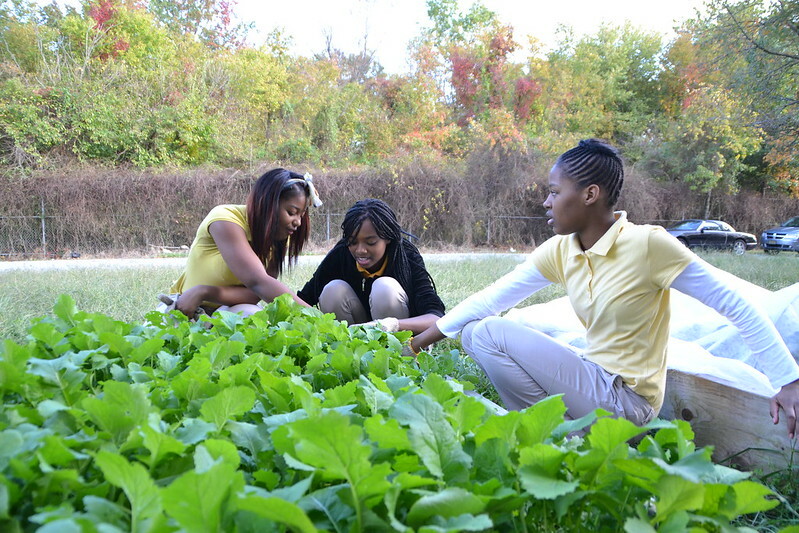 It connects students and the community to the practice of growing, harvesting, and cooking fresh foods. Doors open to the discovery of soil biology and science, the origins of cuisine and social studies, the importance of crop planning and mathematics, and to the creative pursuit of nature poetry, art, writing, and other creative pursuits. Community Gardens benefit the whole city, not just Southwest Philadelphia. Join the Rebel Gardeners by visiting your local community garden, learning from the gardeners, and sharing this knowledge. A wealth of knowledge exists within each garden: from growing techniques, to family recipes, to histories of foodways, famines, and abundance. We document this information in our blog as an educational tool. Community gardeners are excellent teachers for the Rebel Gardeners.